Hello! 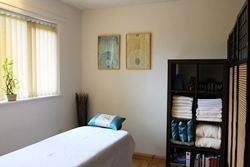 I am a Remedial Therapist based in Great Wilbraham, located 7 miles East of Cambridge, UK. I specialise in Advanced Clinical Integrated Myofascial release and NeuroKinetic Therapy (level 3), to treat the underlying cause of your muscular problems. Most of the people I treat have been in pain for many years often presented with restricted movement and flexibility. I also work on post-surgery scar tissue, sporting injuries, posture related aches and pains. When we sustain an injury, the body compensates by adapting movement patterns, recruiting muscles which are not normally used. Often this creates pain in seemingly unrelated areas. Focussing on a localised area of pain (chasing symptoms) might provide temporary relief. Without addressing the underlying issue, your problem would keep coming back. Copyright © 2016 Dairy Farm. All Rights Reserved.